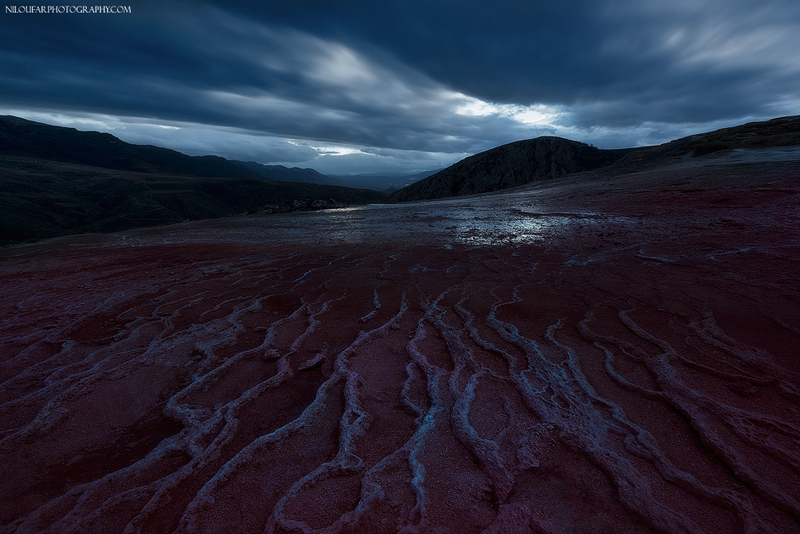 Veins of twilight / Badab-e Surt | Niloufar Photography | Exploring the beauty just around you! Badab-e Surt (Persian: باداب سورت‎‎) is a natural site in Mazandaran Province in northern Iran, 95 kilometres (59 mi) south of the city of Sari, and 7 kilometres (4.3 mi) west of Orost village. It comprises a range of stepped travertine terrace formations that has been created over thousands of years as flowing water from two mineral hot springs cooled and deposited carbonate minerals on the mountainside.